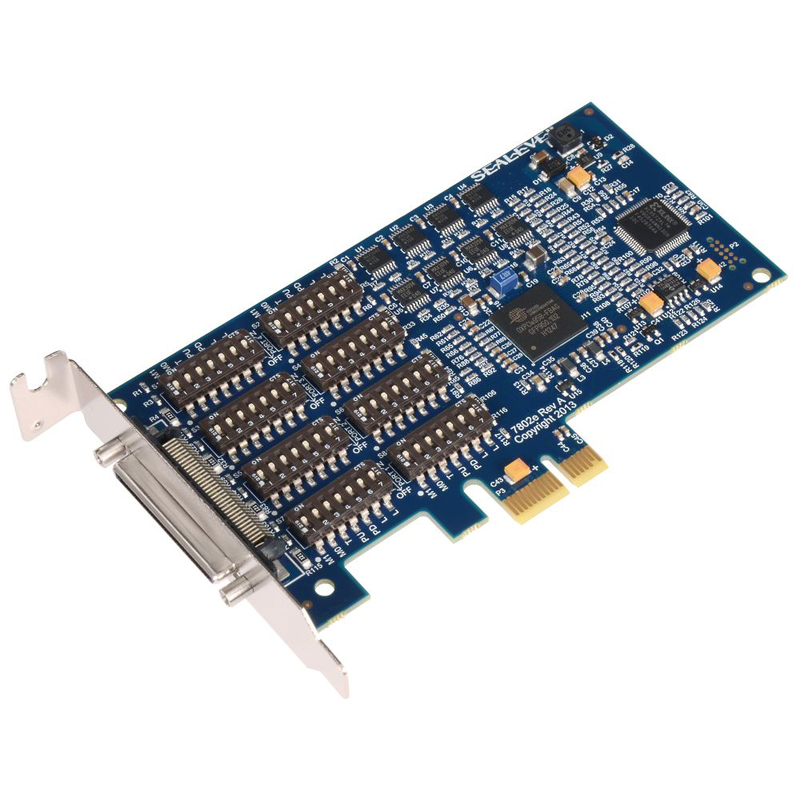 Sealevel Systems announces the 7802e, a new PCI Express serial interface adapter that provides eight serial ports individually configurable for RS-422 or RS-485 communications. Sealevel Systems announces the 7802e, a new PCI Express serial interface adapter that provides eight serial ports individually configurable for RS-422 or RS-485 communications. For error-free operation in high-speed serial applications, the board's high-performance 16C950 UART includes 128-byte FIFOs, eight times larger than those found on standard 16550 UARTs. Additionally, the 16C950 UART supports 9-bit framing and is fully software compatible with legacy UART applications. The 7802e is ideal for a variety of applications including test and measurement, security systems, and broadcast. The 7802e derives a 62.5 MHz clock from the PCI Express link. This ultra-high speed clock is divided by a flexible 8-bit clock prescalar with 1/8 steps to provide support for the widest range of standard and non-standard baud rates. In RS-485 mode, the transmitter is automatically enabled in hardware, eliminating the need for application software control. This allows the 7802e to be used with standard serial applications while removing the risk of bus contention and data corruption. All Sealevel PCI Express serial adapters include SeaCOM software for Windows and Linux operating systems. As an added value, customers also receive WinSSD, a full-featured application for testing and diagnostics including BERT (Bit Error Rate Testing), throughput monitoring, loopback tests, and test pattern message transmissions. The 7802e is available immediately from stock priced at $469 for low profile (Item# 7802e) and standard size (Item# 7802eS) PCI Express slots. Both items ship with a 36 inch cable that terminates to eight DB9M connectors. Standard operating temperature range for is 0 - +70°C (extended temperature versions operating from -40°C - +85°C are available). Like all Sealevel I/O products, the 7802e is backed by a lifetime warranty.